The upcoming Mahindra S101 has been spotted again! 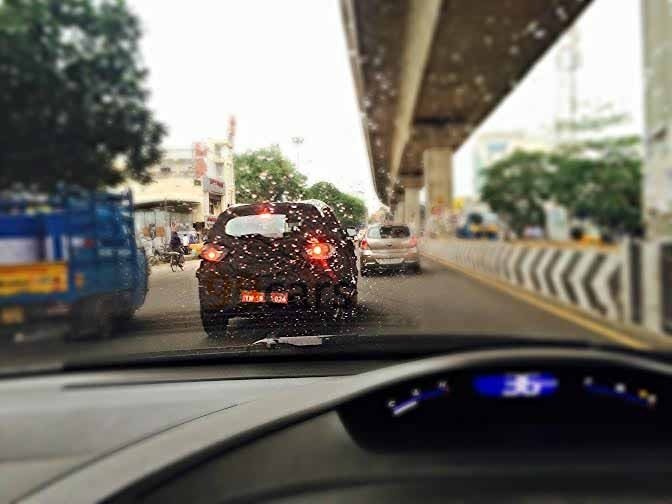 These Mahindra S101 images that you see here are coming from Chennai and have been taken by a reader of 99cars. 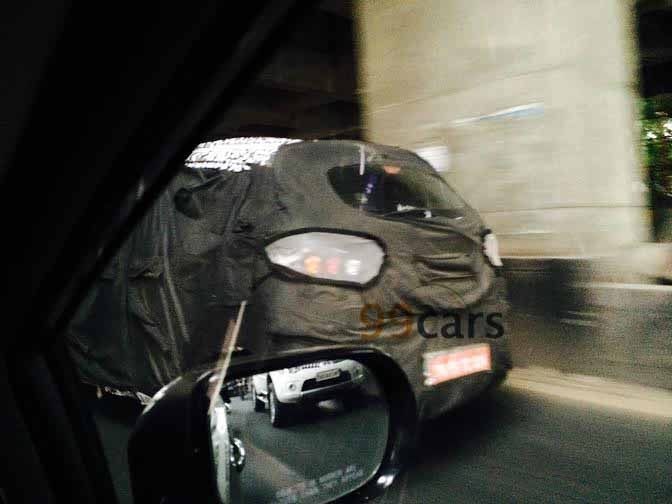 These Mahindra S101 images show that the upcoming model is still far from final stages of testing and continues to test with a lot of camouflage. When launched, this model will rival the highly successful Ford EcoSport and Renault Duster SUVS. There are very high chances that the upcoming Mahindra S101 SUV’s design will be similar to XUV500’s design. Also, there are very good chances that the S101 will look so much like a smaller XUV that it will go on sale with XUV300 nameplate. Even the design of the interiors could be very much like that of the XUV500. The car will be considerably loaded and will have a long list of features, which would include automatic climate control for air conditioner, audio system and telephony controls on steering wheel, tilt adjustment for steering wheel, a XUV500-like infotainment system with a slightly smaller screen, a safety net that will comrpise of ABS, EBD, ESP and four airbags. Rear ac vents could be another added feature in list of S101. The Mahindra S101 compact SUV is built on a monocoque chassis and will be powered by a revised version of the three-cylinder, 1.5 liters twin scroll turbo diesel powerplant that is found under the hood of the Quanto. From what we’ve been hearing, the S101 compact SUV could have an ARAI claimed fuel mileage of almost 23 kmPl. Watch this space for more details and images of the highly awaited Mahindra S101 compact SUV. The S101 will compete with Hyundai ix25 and already tried and tested Ford EcoSport, Renault Duster and Nissan Terrano. Launvh of Qunto could not give big volumes to Mahindra, but the company hopes that this car will be the strong contender in compact SUV market. Mahindra S101 spied in production avatar!